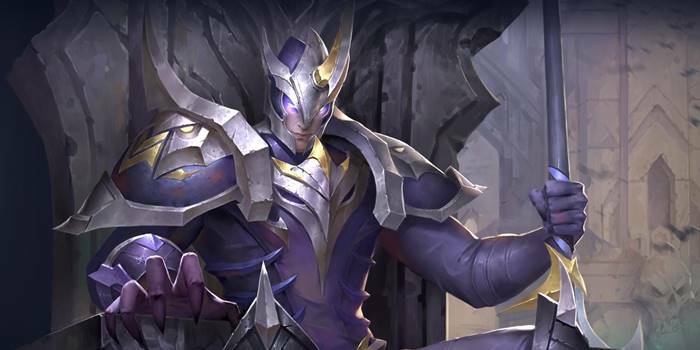 A guide to Arena of Valor's Zephys, the Doomspear. Zephys uses his high mobility and attack damage to jump behind enemy lines and pick off squishy targets. Zephys is a warrior/assassin hero capable of dominating a battle even when at critical health. His abilities consist of dashes and engages that can easily surprise unsuspecting enemies. His passive, Unwavering Death, keeps him up and fighting even when his health has been knocked low. Versatile Abilities – Aside from damaging enemies, his abilities give him good ways to engage, disengage, stun, and regenerate. He can jump over walls with Death from Above and Death’s Rift. Death’s Flurry heals HP each time it strikes a hero. All of these together allow him to quickly traverse the battlefield and offer a lot of utility in team fights. Great Initiator – Zephys’ Death from Above and Death’s Rift allow him to jump to enemy marksmen and mages, even when they are hiding behind their teammates. Pair this with his natural tankiness, and you have a hero who is great at starting fights and absorbing enemy fire. Good Duelist – Unwavering Death increases his defensive strength as his health falls. Death’s Flurry also regenerates HP as it damages enemies. Give Zephys a lot of potential in drawn out fights, especially when the enemy lacks a form of burst. Mana hungry – Zephys’ main problem is that his abilities require a lot of mana to use. Zephys is well suited to the jungle, constantly needing the sage buff in order to constantly spam out his abilities. Low Burst for an Assassin – Zephys’ heavy engagement ability and defensive nature keep him from being a burst hero. Squishy enemies will have an easier time slipping away than they would with more damage centric assassins. Zephys is best suited to the jungle, but can take the Slayer lane in a pinch. His high ganking potential make him a nightmare for squishy enemies to deal with, however. Engage on enemies with Death from Above for a strong start before following up with Death’s Rift and Death’s Flurry. Focus on leveling up Death’s Flurry first. While both of Zephys’ normal abilities are incredibly useful, Death’s Flurry is a better tool for farming..
Take levels in Death from Above whenever it is available. It is an invaluable initiate and a core part of Zephys’ combo. Solo Fights – Start the battle by immediately jumping on the enemy with Death from Above before following up with Death’s Flurry. Cut off your enemy’s following escape by slipping through them with Death’s Rift. Continue the fight with an empowered normal attack, slowing your prey. From here, continue to use your abilities off cooldown as you duke it out with the prey. Team Fights – Try to jump over the enemy front line to get right to the squishy damage dealers. Follow up with Death’s Flurry and Death’s Rift as usual. Focus all of your efforts on the damage dealers, even as the tanks try and pull you away. Escaping Fights – You can use Death Rift to go through walls and disengage. If needed, you can also use Death from Above to do the same. Unwavering Death – Passive – Every 3% of HP lost grants 1% damage reduction. Unwavering Death makes Zephys tankier the less life he has. This can be a great way to deceive enemies into fights where they think they have an advantage. Unwavering Death applies at time of damage calculation, so watch out for burst damage. Death Rift – Zephys lunges forward, dealing 175/200/225/250/275/300 (+1.0 AD) physical damage to enemies along the path. His next normal attack deals 175/200/225/250/275/300 (+1.3 AD) physical damage and reduces enemy movement speed by 25% for 2 seconds. You can surprise enemies with this ability as it can jump through walls. Use it when engaging an enemy on the other side of a wall or if you are escaping. Don’t forget to auto attack right after the dash. Death’s Flurry – Zephys unleashes a series of rapid attacks, dealing 95/105/115/125/135/145 (+0.4 AD) physical damage with each attack to the enemies in front of him. Each hit on an enemy hero restores 35/39/43/47/51/55 (+0.15 AD) HP to Zephys. Death’s Flurry is Zephys’ main damage ability in fights and when farming. Use Death Flurry in the laning phase to restore HP. You can always cancel Death’s Flurry by moving or by using another ability if the enemy tries to fight back. This ability can be cancelled with stuns and knockups. Use Death’s Flurry right after casting Death From Above to help prevent this. Death from Above – Zephys attacks from above, dealing 370/460/550 (+1.4 AD) physical damage to enemies in the target area and knocking them into the air for a brief period. Enemies hit are inflicted with the Thundercrash debuff and takes an additional (+0.16 AD) magic damage when hit by Zephys’ normal attacks and abilities. Always use Death from Above at the start of a team fight so that you take advantage of the bonus damage your abilities and auto attacks will have against affected enemies. Aim for areas where there are multiple enemies. After casting Death From Above, you can chase escaping enemies with Death Rift. Save your burst abilities for when Zephys is low on health. He will have a ton of damage reduction the less health he has, therefore using all of your bursty abilities when he’s low can ensure a quickfire way of killing him instead of auto attacking. Be careful when you have low health, as Zephys can jump on you with his ultimate. Stay away from brushes and chokepoints to avoid this situation. While Zephys generally builds a lot of defensive items, he wants some extra damage in his arcana. Onslaught, Assassinate, and Skewer will give him a lot of help both in tearing down early jungle camps and in his first few ganks. Alternatively, you could go ahead and double down on Zephys’ durability with sets of Indomitable, Benevolence, Valiance. Engage tanks only when they are alone and when necessary. Never focus them in team fights because they will just soak up all of your damage, allowing their teammates to kill you. Warriors are hybrid heroes that possess a mix of offensive and defensive power. Be careful when engaging solo warriors and avoid them completely in team fights. You can certainly kill them, however focusing on other enemies would better benefit your team. Fighting assassins will be very difficult for Zephys as he can be quickly slain by well placed burst damage. Zephys won’t have the time to use his abilities in order to fight back. The only way he can win is if he has a level advantage or the assassin messes up their combo. Just like assassins, mages are strong against Zephys with their high damage abilities. Zephys won’t have the time to react and utilize his passive if they can kill him off with one combo. Using his abilities will allow him to get close, however, and thereby give Zephys a large advantage over the enemy mage. Marksman should be Zephys’ main targets in fights. Jump to them with Death from Above and use his other abilities to quickly kill them. Zephys is very well suited to deal with a marksman’s steady damage and so will generally do very well in fights with them. Since most supports stick with their carries, it’s not a wise choice to focus them first in a team fight. However, you can easily pick them off if you find them alone or manage to lead them away from their team. Useless …a marksman kill me… Very easily.help me . I think the Arcana part is wrong. That is for Zanis. Looks like you’re right! I’ll see if I can’t fix that up right away. Thanks for that!